Without a healthy liver, you cannot thrive, or in many cases, even survive. The body’s second largest organ, your liver carries out numerous functions to boost well-being, many of which are related to digestion, metabolism, immunity, the storage of nutrients within the body, and the big one – detoxification. These functions make the liver a vital organ, necessary for providing energy and nutrition to tissues which would otherwise die. Keeping your liver healthy is a matter of controlling lifestyle factors and eating well: namely, exercising, establishing a ‘clean’ diet, and reducing exposure to toxins. Though there are many everyday foods you can consume as well as liver cleanse products you can utilise, using herbs to bolster liver health is another way to ensure overall immunity to countless ailments. The liver produces bile to aid in digestion. It detoxifies the blood, ridding it of toxins. The organ stores glucose and converts it to usable sugar when blood sugar levels fall below normal. It breaks down insulin, hemoglobin, and other hormones. It destroys old red blood cells and converts ammonia to urea. Because it secretes bile, it’s actually considered a gland—the largest one, weighing an estimated 3.5 pounds. You can see why keeping your liver working at optimal levels is so important. Known toxins to the liver include alcohol, acetaminophen (as in Tylenol), pharmaceutical drugs and even high fructose corn syrup. One study from Duke University found HFCS can actually lead to liver scarring similar to that found in liver disease. Dandelion Root – Yes, the same yellow flower growing on your lawn can be used to promote liver health. Who knew? Dandelion is a super “weed” with a wealth of benefits, boosting liver health being only one. The plant is rich in zinc, iron, and potassium. Young plants are best and consuming dandelion, and the root is what you want. Dig out the root and use small chunks in making a tea or tincture. Burdock Root – Used in the same manner as dandelion root, burdock root is a “favorite blood purifier among Ayurvedic” practitioners. 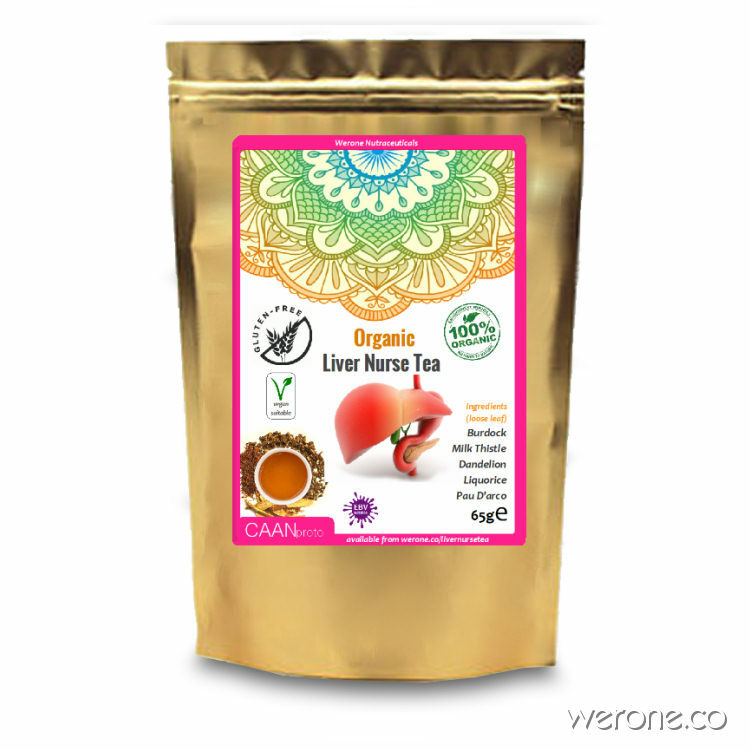 It stimulates bile and helps purify the blood. Liquorice – Licorice taken in a tea is an excellent detoxifier which can help cleanse the body’s system while simultaneously strengthening the liver and kidneys. Licorice is good for stimulating the digestive system and can also clear out phlegm from the throat and lungs as a result of its expectorant capabilities. Drinking licorice tea has the ability to detoxify metal and chemical contaminations in the system which can pose a threat to the body’s immune system. Pau d’Arco Bark – Scientists have identified two active chemicals in pau d’arco called naphthoquinones; they are lapachol and beta-lapachone. These chemicals have the power to kill bacteria, fungi, viruses and parasites. Pau d’arco also helps the body fight candida the natural way. They have also shown anti-inflammatory properties, which are important in treating health conditions such as osteoarthritis. Another powerful element of pau d’arco is selenium, an antioxidant that removes free radicals that damage cells and trigger disease. Selenium is an extremely vital mineral for the human body, some selenium benefits include its ability to increase immunity, take part in antioxidant activity that defends the body against free radical damage and inflammation, and play a key role in boosting your metabolism. To extract the full medicinal properties from the plants you will need to decoct them daily. 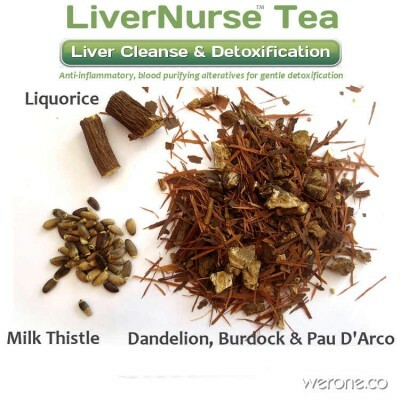 Add 1 heaped tblsp of LiverNurse to a glass pan along with a pinch of (bagged) crushed milk thistle. Add 3 x cups (750 ml) of clean or filtered water, cover and simmer for 10-20 mins. Allow to settle before pouring off the decoction, or Strain and add to a flask to stay warm all day, drink 3 times a day for 4 – 6 weeks, then take a break for 1 week. Note: This is a loose mixture of fine roots and bark which is strained through a tea strainer or fine sieve after decoction. Alternatively you could use a chinese teapot with an infuser and let the tea infuse for 10- 15 minutes, less potent, but still useful.